Once protected by thickets of poison ivy and riddled with rattlesnakes, a cave discovered in South Dakota’s Wind Cave National Park has, for the scientists exploring it, certainly lived up to its name: Persistence Cave. But the researchers have been rewarded for their perseverance with a one-of-a-kind find: hundreds of thousands of fossil bones, including the remains of camels, prehistoric horses, bison, and more than 40 other species dating back as much as 11,000 years. “What’s unique about this is that it’s choked with fossils,” said Dr. Jim Mead, lead researcher of a consortium of groups studying Persistence Cave. 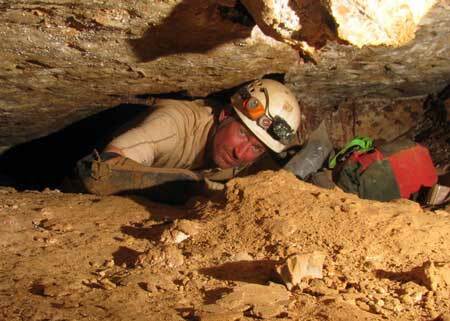 The small limestone tunnel was first discovered by an employee of Wind Cave National Park in 2004, while searching for caverns that might feed into park’s namesake cave. 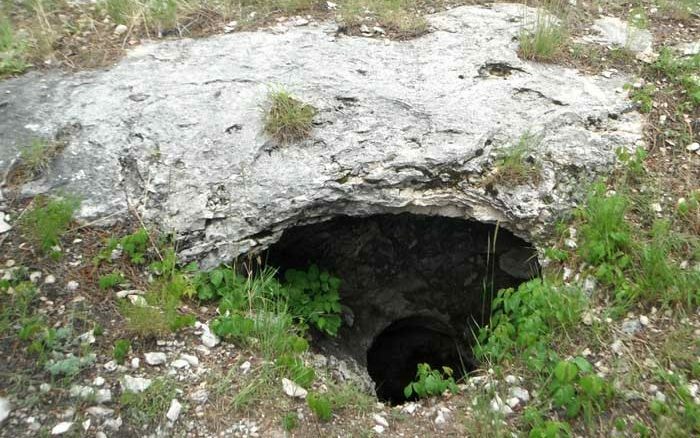 But after Persistence Cave was found, it took more than two years for researchers to figure out how to access it, pulling the poison ivy and gently removing the snakes that spend their winters there, before its contents could be revealed. “It’s really a plugged tube full of sediments that just happen to be full of bones,” said Mead, who is also site director of The Mammoth Site of Hot Springs, S.D. “When you’re working in there, you’re on your belly, and there’s not even enough room for you to hold your head straight up — you have to hold it sideways,” Mead said. So, rather than finding whole, articulated skeletons of animals, Mead and his colleagues are finding thousands of bone fragments — ranging in size from a quarter-meter, or about 10 inches, to mere specks. And almost all of them bear the telltale traces of carnivores’ teeth marks. 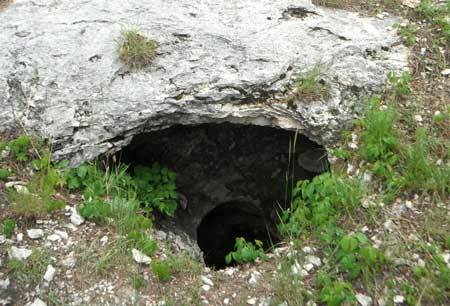 “It’s very possible that the cave was used as a den by wolves or something else that chews on bone,” Mead said. Regardless of how they ended up there, the fragments are already enlightening scientists about how this swath of the West has changed since the last Ice Age. “What we’re seeing are things that tell us that climate and temperature have definitely changed from the time that those bones were deposited,” Mead said. Ochotona only thrives in cold climates, and today, the nearest it’s found to Persistence Cave is high in the Bighorn Mountains, hundreds of kilometers away in northern Wyoming. “So we’re getting some things [from the cave] that have not been found before in the Black Hills, and these are things that are going to help us reconstruct past environments and past climate,” Mead said. 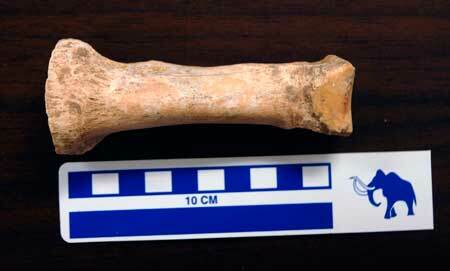 But still another aspect of the newly found fossils remains elusive: their age. Judging by the known date range of some of the specimens found — like Camelops, or a long-extinct species of pig-like peccary — it’s certain that at least some of the fossils in Persistence Cave are more than 11,000 years old. “So now the question is: Is that camel, or that peccary, or that bear, dating to 11,000, or 21,000, or 111,000 years old? Mead stressed that excavations at Persistence Cave have only begun and will likely continue for the next several summers. But from just a cursory survey of the fossils hauled up so far, researchers have identified three different types of voles, at least five species of bats, and four species of snakes — in addition to the bison, bears, camel, and horses. It will be years before paleontologists finish sifting through the fossil fragments to see what hard-won insights will come from their determination, Mead said. “We have thousands and thousands of chips and little fragments to go through, and we have about 80 bags of sediment we haven’t washed yet,” he noted. “We’re chomping at the bit to know more, for sure.